A skillful painting of a mundane subject, this study of fruit (are they grapefruit? enormous apples?) in a pottery mixing bowl deliberately avoids the naiveté of a rustic kitchen chair and eggs or rosy apples. There is a quality of outré and ornary gaucheness about the choice of a 1920s-30s oak dining-chair, with its upright lines and Voyseyesque cut-out, as though some sort of social comment were being made on suburban mores as against the more bohemian kind. This is a painting with a sly sub-text; a witty and clever still-life with a serpent lurking in the fruit-bowl. There is no trace of an R. Y. Armdell even in the usually reliable Benezit, forcing the conclusion either that he/she was not a career artist, but someone who painted for pleasure whilst working in some other field; or that he/she became a professional painter under a pseudonym. It is slightly more likely that in either case Armdell was a female, as the number of male names beginning with a ‘Y’ is minuscule; this might indicate that she withdrew from professional work to have children. Whoever Armdell might have been she was also a very good painter, able to master foreshortening, complex perspective, volume, colour, and effects of light and shade. It is almost certain that she will have been trained in art at some stage in her life, even if briefly. 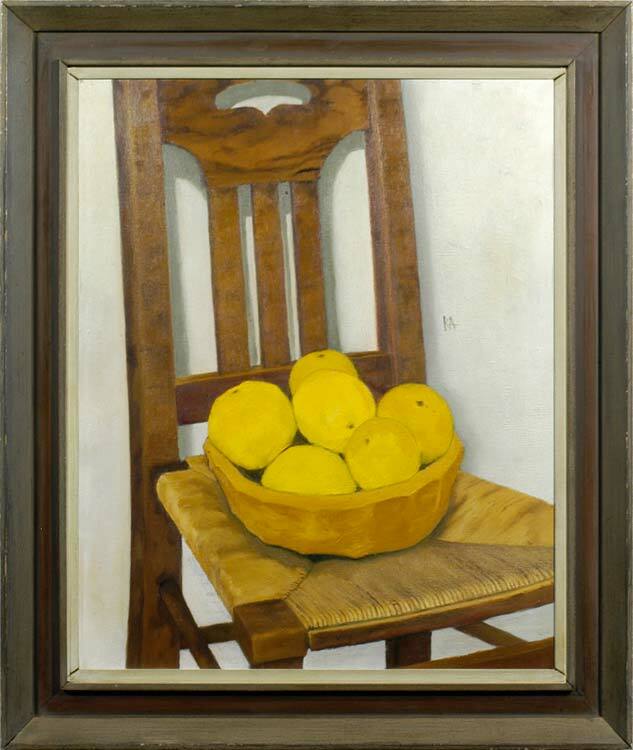 It is also possible that more of her work remains with family and friends in a domestic setting, far from the art market but not the less appreciated.